Last Thursday, we had an extremely successful event where we rolled-out the final report of the CSIS Commission on Smart Global Health Policy in Washington D.C. 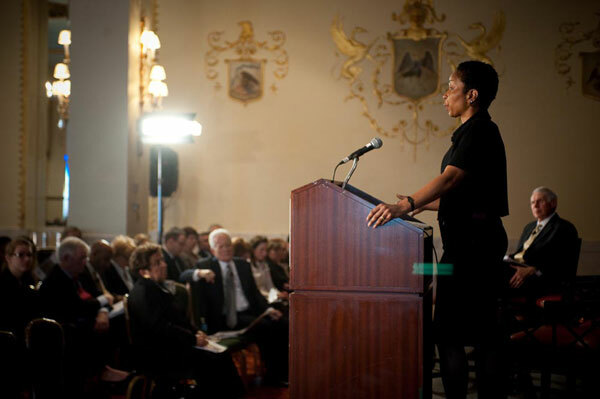 This event brought together more than 430 of our friends and colleagues in the D.C. area, and simultaneously reached over 600 people via a live internet webcast. We at the CSIS Global Health Policy Center are very grateful to not only our Commissioners, but also you, the broader public of concerned individuals and organizations that have helped us shape this report. We have appreciated your input to www.smartglobalhealth.org; featured in the final report are the four winning essays which were submitted to our online essay contest, as well as the report cover photo from Susheel Shrestha, the winner of the CSIS Global Health Photo Contest. As we continue the work of the Commission, I look forward to receiving your input through this website, and will continue to keep you updated on the work that we do at the Global Health Policy Center. Videos, highlights from the roll-out, and personal interviews with Commissioners will soon be available online. The transcript of the entire event is currently available online. As always, we appreciate your feedback.